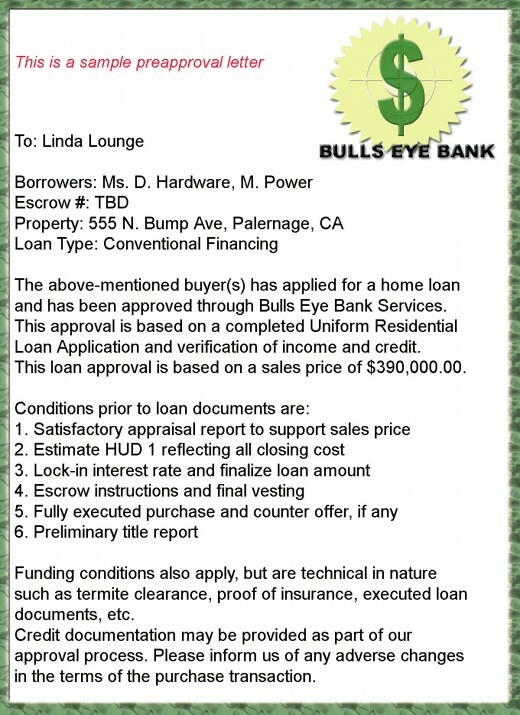 The preapproval letter is an item that you and the home seller can bank on, literally. It is a written commitment by the lender to lend you money. The preapproval letter states that if the property you are hoping to buy appraises at an appropriate value, and your financial situation remains as it is at the time of preapproval, you will get the money, and the lender is standing behind your financing. In essence, your preapproval letter assures you that your loan is virtually guaranteed. 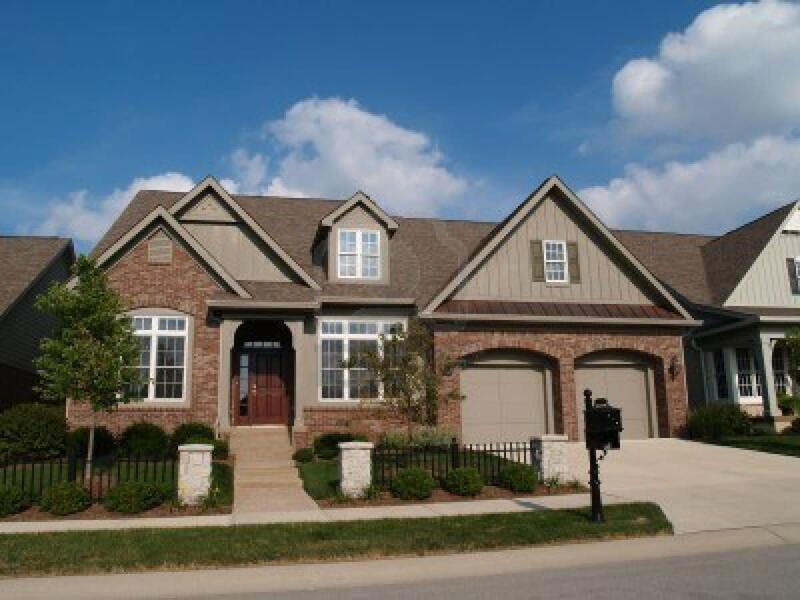 With preapproval completed, you will know exactly how much you can afford to pay for a home. The preapproval letter is like sending a financial special forces team to motivate the home seller. Think about it from the sellers point of view. They want to sell their property for a good price, yet they also know that most buyers have to get a mortgage before they can actually buy the real estate in question. This can make a seller feel uncertain about a buyers ability to get a home loan. The seller remains in limbo until the buyer spends a week or two getting approved for a loan, and one that is hopefully enough to buy the seller's home. Now, in walks a buyer with a letter of preapproval, a sure thing that has real value attached to it. The lender has already agreed to a tangible loan amount. This buyer has a huge advantage (all other things being equal) when competing against buyers who do not have preapproval in hand. Consider this as well, if this buyer makes a bid that is less than the asking price, the preapproved buyer may well win the deal simply because the preapproval letter is in hand and backing up the negotiation. It is the one element within the real estate deal that the seller can count on. A vast difference remains between preapproved and prequalified . Pay close attention right now.To be prequalified is nothing more than someones opinion that states you are likely to get a mortgage for a certain amount. The truth is that no one stands behind a prequalified buyer. Savvy buyers and sellers know the prequalified letter is of very little value; not much more than the paper it is written on. It's like saying,"Well maybe the buyer's will get the loan, and then again, maybe they won't." It just doesn't offer much leverage or guarantee from a sellers perspective. 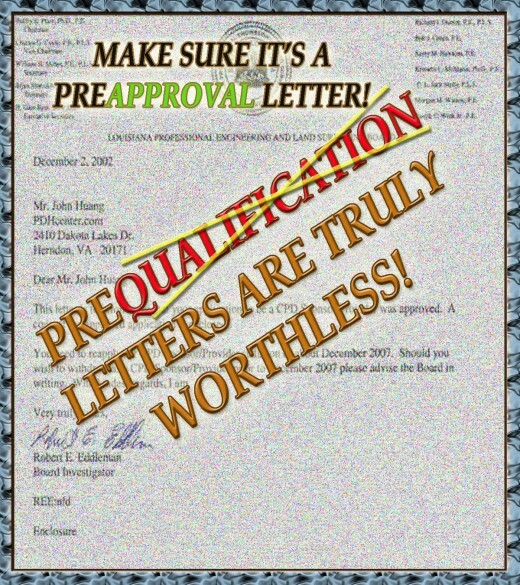 So making certain your letter is one of preapproval and NOT prequalification is imperative! Don't end up being another victim of foreclosure! A few basic tips for preventing first time home buyers from losing their new home to foreclosure. Free, easy to understand, and simple to follow advice. Verification from your bank that you have deposited the necessary amount for the down payment into your account. Frequently the lender will sign the document and send it out or email it directly. In some instances your passbook may be sufficient. Verification from your employer regarding the length of your employment and the probability of your continued years of employment. Some lenders want signed documentation while others will only require phone verification. A property appraisal. You won't have to provide this until you provide the lender with a signed purchase agreement. Be prepared to pay for the appraisal out of pocket. Proof of Insurance on the property. This has to be obtained from an insurance company, but you won't have to pay for it until the deal is ready to close. Any other documents required by red flag situations that may pop up during the approval process. These could include a loan you have already paid off but still shows up as an outstanding balance on your credit report. Any licensed legitimate lender can preapprove you, and for free. 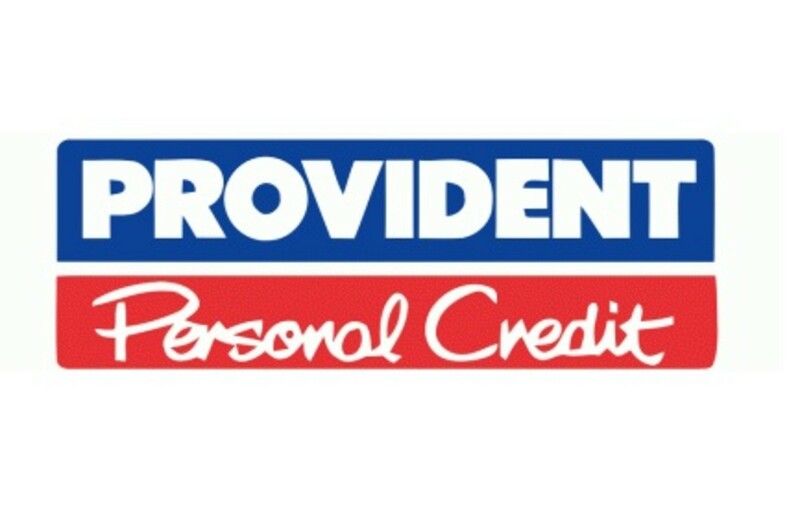 Never pay for preapproval (you may have to pay for the cost of your credit report, but that's it). 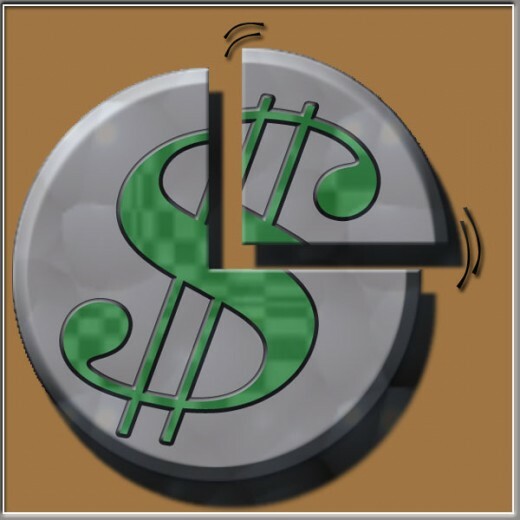 You should head for the door if a lender wants to charge you for preapproval of a loan. 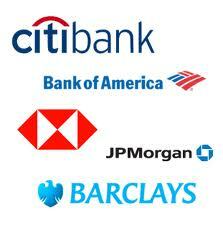 Thousands of lenders are out their for you to choose from. Here are choices of lenders to choose from, you will find most of them in the Yellow Pages or online. I found also found a lot of useful information at http://www.writealoan.net/zip.jsp for home loan pre approval. I live in north Georgia though. Simone~ Very nice of you to make it buy to read about home buyers preapproval letters. They really can speed up the process and convince a skiddish seller that you are worth working with, instead of someone without preapproval. I appreciate your time! Very cool! I definitely want to get preapproval status before trying to buy a house- thanks so much for writing this Hub! I hadn't known much about it before. Love the sample letter, too. Very helpful!